New channels, products and competitors are disrupting businesses and their supply chains. Leaders are using digital disruption to transform, protect and strenghten the core and grow their business. Supply chain leader with over 20 years experience in industry and consulting. Focused on digital transformation. Matthew is EY EMEIA Digital Operations Leader. He helps our clients harness the power of Industry 4.0, from creating an adaptive, agile mindset willing to test new ideas to practical application of disruptive technologies that can transform every aspect of the supply chain. He is a seasoned supply chain professional with extensive experience in digital supply chain and operations transformation. He has led supply chain transformation projects at a number of products and services companies across EMEIA. 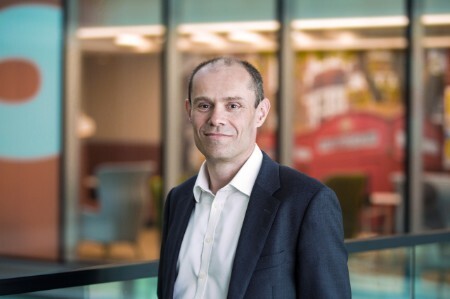 Prior to joining EY, Matthew worked in consumer electronics retail, leading early efforts in supply chain digital disruption such as ecommerce, click and collect and e-procurement. He received an MA in Natural Sciences from the University of Cambridge.